Welcome to the fourth issue of The Ohio State University Destination Medicine Global Healthcare Update! This e-newsletter provides a look at some of the groundbreaking research, innovative patient care and prestigious honors, awards and achievements that make Ohio State’s internationally renowned cancer program a destination of choice for cancer patients and families from around the world. Realizing that every cancer is biologically unique and that no cancer is routine, the experts at The Ohio State University Comprehensive Cancer Center James Cancer Hospital and Solove Research Institute (OSUCCC – James) are transforming the way cancers are prevented, detected, treated and cured. The Destination Medicine Global Healthcare (DMGH) team at the OSUCCC – James and Ohio State Wexner Medical Center is dedicated to ensuring that distance and language are not obstacles to receiving world-class care, opening the door to people from around the globe who turn to us for help. In October, Dr Roman Skoracki, MD, associate professor in the Department of Plastic Surgery and Ronnie Campo, associate executive director at The James visited Hangzhou, China in the eastern province of Zhejiang, China. They were invited to Sir Run Run Shaw Hospital, a tertiary care teaching hospital affiliated with the Zhejiang University School of Medicine. Sir Run Run Shaw Hospital is a moderately sized academic hospital with 1,200 beds and over 10,000 outpatient visits per day. There are 29 specialties represented. In 2006 Sir Run Run Shaw, became the first hospital in China to receive accreditation from Joint Commission International (JCI). Skoracki and Campo were invited to hospital's 12 Annual International Academy Week. The top breast surgeons and their faculty from across China attend the meeting. Skoracki, the keynote speaker, presented "Surgical Treatments for Lymphedema." His talk was eagerly anticipated as Chinese surgeons had heard about Skoracki and his team’s novel treatment which involves either transferring or transplanting lymph nodes to areas of the body that have had lymph nodes dissected during a surgical oncology procedure. 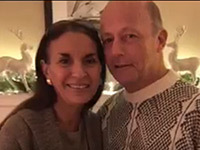 After this treatment, women who previously had to endure a perpetually swollen and painful arm following a mastectomy can once again wear normal clothing and jewelry, and they also are delighted to regain mobility and productivity. In China, reconstructive surgery following mastectomy is relatively new and has largely been driven by patients actually demanding—and paying out of pocket—to have a reconstruction. Skoracki's lecture was well received, and he has been invited to perform the surgery in China. 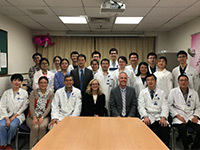 Additionally, Sir Run Run Shaw is interested in partnering with The James to build a bilateral exchange program for practitioners and patients interested in breast surgery and reconstruction. 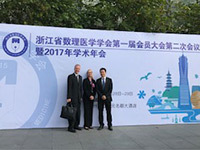 At Zhejiang University, Ronnie Campo introduced attendees at the Zhejiang Society for Mathematical Medicine to The James Cancer Hospital and Solove Research Institute. Her invited lecture centered on the importance of building and testing meaningful, iterative models for scheduling, treating and reimbursement. The concept of healthcare as a business is relatively new in China, and provincial government public health leaders are eager to learn best practices from U.S. healthcare administrators so they can avoid some of the costly mistakes their American colleagues have endured. The discussion ranged from federal policy to insurance payments. The trip ended with a dialogue about future educational exchanges between the two institutions. 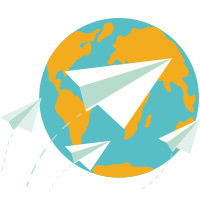 Destination Medicine Global Healthcare receives dozens of emails from around the world. People ask about new treatments, breakthrough medical procedures and how to become a patient at The James. One particular exchange touched our hearts in a special way, and we decided to help this young and dedicated general practitioner from Mongolia. 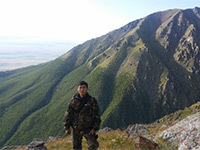 Hello, my name is Altanshagai, I live in Mongolia. I am doctor. First of all, I would like to introduce myself. 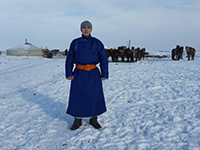 I am a 26-year-old general practitioner (in the central Asian country of Mongolia, especially Uvs province which is peripheral area in the west is my hometown and the place where I live in. I have been working here since I graduated a diagnostic ultrasound course last year in the capital city Ulaanbaatar. Being 1,500 km away from the capital city, distantness of our province becomes a reason why it’s challenging to deliver advanced medical services to rural people and diagnose critically ill patients in a timely manner. Mongolia might be the last country which has nomad civilization in the 21st century. Half of our population lives as to traditional customs or nomadic lifestyle. 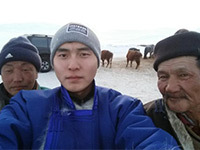 Herding five kinds of animals, riding horses, fighting against wild animals such as wolves to save their herds, eating milk products in summer and meat products in winter are parts of our nomads’ life. 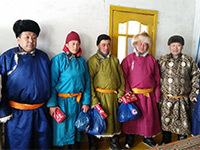 Since my job is to deliver health services for the nomadic population, I feel their hardship more than anyone. I also face many obstacles to reach them to give a hand. Somes I need to ride a horse through places that have no road or path, hanging my ultrasound machine over. Doctors from developed countries don’t know difficulties that doctors here face. I think, if I became an expert in diagnostic ultrasound, it would help many people from distant areas. Last summer, a herdsman died of unknown causes before reaching settled areas. Later, he was diagnosed with echinococcosis. If there was an ultrasound machine, we would have figured out what he had and saved him. 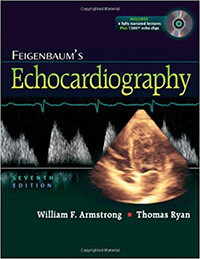 After numerous email exchanges with Dr. Altanshagai, the team decided to send him a book that was co-authored by Dr. Thomas Ryan, MD, MBA, director of The Ohio State University Heart and Vascular Center. Over the past several months, Altanshagai has been updating us via emails, pictures and videos on the application of his newfound knowledge. His enthusiasm and his dedication to his patient are truly inspirational. Patient accrual is underway for a multi-institutional phase I clinical trial (OSU-17076) to assess combining the drug venetoclax with DA-EPOCH-R—an alternative highly selective chemoimmunotherapy platform—in patients with aggressive B-cell lymphomas, including diffuse large B-cell lymphoma (DLBCL), unclassifiable B-cell lymphoma with features between DLBCL and Burkitt lymphoma, high-grade B-cell lymphoma and transformed indolent non-Hodgkin lymphoma. Primary outcome measures for this study are determining maximum tolerated dose and dose-limiting toxicity. Secondary measures include defining incidence and severity of adverse events, determining overall and complete response rates, and determining event-free, progression-free and overall survival times. This study is being led by Weill Medical College of Cornell University. Principal investigator for this trial at Ohio State is Kami Maddocks, MD, associate professor in the Division of Hematology. Questions and referrals relating to this trial at Ohio State should be directed to study coordinator Pamela Heeter at pamela.heeter@osumc.edu or 614-293-9627. To search for cancer clinical trials at Ohio State, visit cancer.osu.edu/clinicaltrialsTo receive a monthly e-newsletter with information on newly opened cancer clinical trials at the OSUCCC – James, send an email to cancerclinicaltrials@osumc.edu. The targeted therapy onalespib has shown effectiveness in preclinical studies of glioblastoma by researchers at the OSUCCC – James. Onalespib is designed to inhibit a molecule called HSP90. The molecule helps newly made protein molecules fold into their final functional form. Many receptor and DNA-damage-response proteins require HSP90 to achieve their functional conformation. In cancer cells, HSP90 can be expressed up to 10 times higher than in normal cells. This study showed that onalespib blocked HSP90 activity and thereby reduced the expression of cell-survival proteins such as AKT and endothelial growth factor receptor in several glioma cell lines and in glioma stem cells obtained from patient tumors. This, in turn, reduced the survival, proliferation, invasion and migration of the cells. The findings are published in the journal Clinical Cancer Research. Vinay Puduvalli, MD, professor and director of the Division of Neuro-Oncology at Ohio State and a clinician-researcher at the OSUCCC – James, is principal investigator. An assay that identifies a peculiar but important abnormality in cancer cells has been developed and validated by researchers at the OSUCCC – James. The assay, called OSU-SpARKFuse (Ohio State University-Spanning Actionable RNA Kinase Fusions), detects a genetic change called gene fusions in solid tumors. The assay and its validation are published in The Journal of Molecular Diagnostics. Gene fusions happen when parts of two different genes join together, such as when a piece of one chromosome becomes attached to another. Such “translocations” can join two genes that together become a major driver of cancer-cell and tumor growth. Targeted therapies are becoming increasingly available that block the activity of fusion genes, particularly those involving kinase genes. Whereas current assays for detecting gene fusions require previous knowledge of both genes involved, OSU-SpARKFuse is designed to detect fusions when only one of the genes is known, which allows for the discovery of novel gene fusions. Sameek Roychowdhury, MD, PhD, assistant professor in the Division of Medical Oncology at Ohio State and member of the Translational Therapeutics Program at the OSUCCC – James, is principal investigator. The U.S. Food and Drug Administration recently approved a new treatment that genetically alters patients’ immune cells to attack childhood leukemia. Samantha Jaglowski, MD, MPH, assistant professor in the Division of Hematology at Ohio State and member of the Leukemia Research Program at the OSUCCC – James, is studying the use of the same treatment—called CAR-T therapy—for adult patients with leukemia. The process removes a patient’s white blood cells and “re-educates” them to recognize certain genetic markers on the surface of cancer cells, then sends them back in to attack those cells. (OSUCCC – James), could have important implications for vaccines against infectious diseases, understanding and treating autoimmune diseases, preventing some infusion reactions and improving immune therapy for cancer. Published in the journal Immunity, the study focuses on immune cells called natural killer (NK) cells. HongSheng Dai, PhD, a postdoctoral researcher at the OSUCCC – James, was first author. MGMT promoter methylation status—molecular information gathered at a DNA-level—can help predict overall survival for patients with a rare form of brain cancer known as anaplastic astrocytoma, according to a new analysis at the OSUCCC – James. The goal of this study was to determine the number of patients with positive MGMT promoter methylation status and its significance as a means of predicting survival outcomes for patients with anaplastic astrocytomas. MGMT is a noted DNA repair gene and a known biomarker in grade 4 glioblastoma brain tumors; however, data on its prognostic value in other grade 2 and grade 3 forms of brain tumors has been unclear. Erica Bell, PhD, assistant professor in the Department of Radiation Oncology, was first author of the study. Arnab Chakravarti, MD, professor and chair of the Department of Radiation Oncology, was senior author and principal investigator. Bell presented the findings at the annual meeting of the American Society of Radiation Oncology (ASTRO) in San Francisco, where she also received a 2017 “Best of ASTRO” award. Bhuvaneswari Ramaswamy, MD, and Maryam Lustberg, MD, MPH, associate professors in the Division of Medical Oncology at Ohio State, are among 27 breast oncologists across the nation recognized by Forbes as exemplary physicians in the field of oncology. Many individuals on the list have served in leadership roles, contributed a wealth of clinical research to advance the practice and served on community boards and national organizations. For patients with metastatic lung cancer, immunotherapy is an exciting and significant treatment option. As with any drug, however, there are risks and potential side effects that patients should be aware of. David Carbone, MD, PhD, is quoted. Someday, we may have a vaccine that prevents all types of cancer, especially the more deadly types, like lung cancer. It's an area of intense medical research. For now, there are only three cancer vaccines approved by the U.S. Food and Drug Administration. Dr. David Carbone is quoted. Farrukh Awan, MBBS, discusses the importance of fluorescence in situ hybridization (FISH) testing for patients with chronic lymphocytic leukemia (CLL). Researchers at The Ohio State University Wexner Medical Center have shown for the first time that special bandages using weak electric fields to disrupt bacterial biofilm infection can prevent infections, combat antibiotic resistance and enable healing in infected burn wounds. The dressing becomes electrically active upon contact with bodily fluids. Chandan Sen, PhD is quoted. This coverage resulted from pitching efforts and a multimedia release distributed by OSUWMC Media Relations. The targeted therapy onalespib has shown effectiveness in preclinical studies of glioblastoma by researchers at The Ohio State University Comprehensive Cancer Center - Arthur G. James Cancer Hospital and Richard J. Solove Research Institute. Vinay Puduvalli, MD, is quoted. This coverage resulted from a news release distributed by OSUWMC Media Relations. Fifteen children have received the gene therapy as part of a first-phase clinical trial: One toddler can stand, walk and run, while others are able to sit on their own, roll over, swallow food or talk. Findings of the trial were published Wednesday in the New England Journal of Medicine. The study, conducted by Nationwide Children’s researchers with AveXis and the Ohio State University College of Medicine, was designed to evaluate the safety and tolerability of AVXS-101. Jerry Mendell, MD, and John Kissel, MD are quoted. What Are the Side Effects of Anti-Estrogen Drugs and Immunotherapies? Some of the very first drugs that were used against breast cancer a disease that the National Breast Cancer Foundation reports afflicts 1 in 8 American women are a class of drugs called anti-estrogen therapies. At the newer end of the spectrum are immunotherapies cutting-edge treatments that leverage the body's immune system to eradicate cancer cells. Raquel Reinbolt, MD, and Sagar Sardesai, MBBS, are quoted. Being diagnosed with breast cancer can make a person feel powerless, but there are some things women can do to potentially improve how they feel throughout the process. The Ohio State University was mentioned. 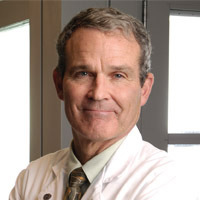 Medical scientists at the OSUCCC – James frequently publish cancer-related articles in prestigious scientific journals. View a list of articles that have appeared recently in journals with an impact factor (IF) of 7.0 or above. Raphael Pollock, MD, PhD, has been named director of The Ohio State University Comprehensive Cancer Center (OSUCCC), and William Farrar, MD, has been named interim CEO of the Arthur G. James Cancer Hospital and Richard J. Solove Research Institute. Ohio State University President Michael V. Drake, MD, announced their appointments to fill vacancies created when former OSUCCC Director and James CEO Michael A. Caligiuri, MD, stepped down from both positions in November. Caligiuri, who had been OSUCCC director since 2003 and James CEO since 2008, will join City of Hope National Medical Center in Duarte, Calif., in February to serve as president and physician-in-chief. 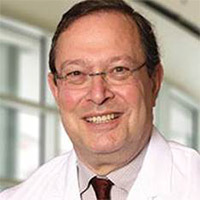 Pollock has been on Ohio State’s medical faculty since 2013 when he was recruited from MD Anderson Cancer Center to direct the Division of Surgical Oncology at Ohio State and serve as chief of surgical services at the OSUCCC James. Farrar, a surgical oncologist who serves as director of the Stefanie Spielman Comprehensive Breast Center at the OSUCCC James, has been on The James medical staff since the hospital opened in 1990. He was mentored by the late Arthur G. James, MD, for whom the hospital is named. After another successful year of exceptional patient care by our dedicated clinical staff, the OSUCCC James has been named a Guardian of Excellence Award winner by Press Ganey for the second consecutive year. The Press Ganey Guardian of Excellence Award recognizes top-performing healthcare organizations that have consistently achieved the 95th percentile or above for inpatient care experience performance excellence as measured by the Centers for Medicare/Medicaid’s Hospital Consumer Assessment of Healthcare Providers and Systems (HCAHPS). I want to thank the team for all the valuable support provided at The Wexner Medical Center to the citizens of Guatemala. I am very grateful for the excellent service. “Words cannot adequately express our sincere gratitude for the kindness, patience and helpfulness you have shown us. And Dr. Carrau has simply been a God send to us as he helped to guide us in this most difficult test in our lives. Specifically, his advice and second opinion meant so much — it truly gave us hope." “I traveled from Chile in search of experts. My diagnosis had been complex, so I needed a team that had performed this procedure many times, and I found it. 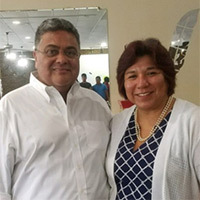 The medical team led by Dr. Carrau took charge of my case, with an impeccable procedure, delivering clear information in a timely manner, which allowed me to have the certainty that I was in the place where everything could turn out well. Fifteen children have received the gene therapy as part of a first-phase clinical trial: One toddler can stand, walk and run, while others are able to sit on their own, roll over, swallow food or talk. Findings of the trial were published Wednesday in the New England Journal of Medicine. The study, conducted by Nationwide Children’s researchers with AveXis and the Ohio State University College of Medicine, was designed to evaluate the safety and tolerability of AVXS-101.